Cincinnati, we are bringing you a little bit of Cleveland. No, it is not Lebron James, but it is something that will make you and your lawn happy. Weed Pro is expanding across Ohio and now offers lawn care services to the greater Cincinnati area with a new location in Southwest Ohio. Headquartered in Sheffield, Ohio right outside of Cleveland with branches in Columbus, Akron, and now Cincinnati, Weed Pro sure knows Ohio lawns. If you are looking for a professional lawn care service that will do a great job making your lawn healthy, lush, and green, check out Weed Pro’s new Cincinnati branch! Started in 2000, Weed Pro began by servicing the Cleveland area, and has since grown across the state. With over 17 years of experience, Weed Pro is able to provide their customers with quality care, great pricing, and education. We are here to provide the best professional lawn care Cincinnati needs. Our company will provide you with top notch lawn care, Cincinnati, with trained and certified lawn service technicians. Certified lawn technicians have to complete on going training and education, with this knowledge they will be able to best take care of your grass the right way. Weed Pro technicians are able to accurately diagnose your lawn troubles and treat these problems appropriately. Taking care of problems promptly and correctly will keep you from wasting money on mistreatments and save your lawn from further damage. Customer service is a very important key factor in a great lawn care company and Weed Pro takes it seriously. Weed Pro Lawn Care Cincinnati will have a customer service manager just like the other branches in Columbus and Cleveland. There will always be someone to take care of you before, during, and after the application of the lawn care services you hire us for. Customer service includes educating customers and giving customers lawn care tips to help keep their lawn beautiful. We can take care of any issues that may come up during your time with us in a jiffy. You see, other larger companies do not have customer service locally, so going through the headquarters for problem solving could end up leaving you without answers for day or more. With a lawn care customer service team right in Cincinnati, you can be sure that all of your needs will be met in a timely manner. Weed Pro has your lawn's health is our best interest, so you can always give us a call with any questions or concerns to make sure your lawn stays as healthy and beautiful as possible. We want to treat your backyard as if it were our own. We offer protections and guarantees that some of the big guys cannot beat! We always try our best to treat your lawn as effectively as possible, but sometimes lawns have a mind of their own. After the initial application of weed control, there will be some weeds that survive the treatment. Here at Weed Pro, we offer free weed control touch up calls. This is part of the great customer service that we have at our company. It is simple. If you still see weeds after about 10 days following the application, give us a call and we will send a technician out as soon as possible. Another thing that may stick around after treatment is crabgrass. Just like the weeds, call and report any crabgrass growth activity in your lawn after a week of application and Weed Pro will come out and take care of that pesky crabgrass for you. Grub free protection and guarantee is a biggy. Grubs are basically lawn parasites that will eat up your grass below the surface and kill your lawn. We want to make sure this never happens to you so we always do our best to keep the killers out of your lawn. We offer a variety of lawn care services, so we are your one stop shop for professional lawn care, Cincinnati! We cover all of the basics, like fertilization services and weed control. Weed Pro offer great packages and plans for weed and feed services that come with some freebies too. Keep those creepy crawlers away! We also offer pest control to keep insects out of your house and out of your lawn. The home perimeter spray treatment will keep bugs out of your house, including those nasty lady bug imposters. Keeping bugs out of your lawn is important too, especially those lawn killing grubs. Grub control service treatments will protect your lawn from being eaten by grubs and other insects. If your lawn is in need of some aeration and seeding, we offer that too! If your lawn is looking a little sad and need to be thickened up, aeration and seeding are great services to add onto any plan. For trees and shrub treatments, we have an organic treatment that we will apply to your yard with a multi-step process. This treatment will help your trees and shrubs be resilient from disease and strong throughout the season. Our service will also help the trees intake more nutrients and resist damage from insects. A sharp lawn is an extension of your personal and professional image. If you want your property to look good, we can help you. Weed Pro offers commercial lawn services with features that are hard to beat! For commercial clients, we offer complimentary service calls year round to tend to your property and keep your lawn looking and functioning well. Weed Pro will also give you an evaluation and set you up with a custom care plan to make sure your property is properly taken care of. We go beyond business properties. We also service athletic fields, cemeteries, and municipal parks. Hiring us will keep you from wasting valuable man hours and could also save you some money. 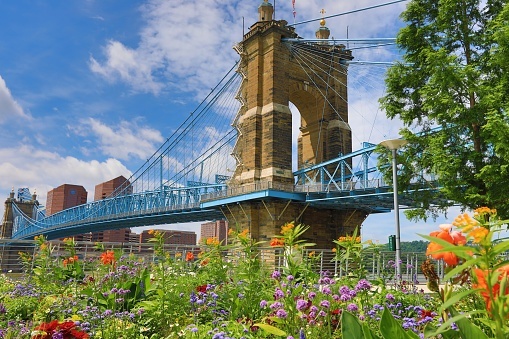 We can’t wait to provide your businesses and parks with our professional lawn care, Cincinnati!